Few games have been as iconic or influential as Elite. Released in 1984 for the BBC Micro, it redefined the boundaries of gaming. 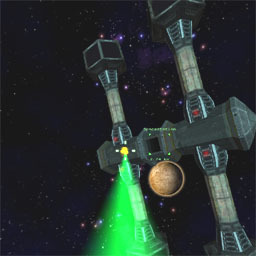 In the face of severe hardware limits it achieved open ended worlds, freeform game play and full 3d graphics. Truly a triumph of imagination over technology. What better influence then for a graphics assignment than one of the greatest games ever made? Through inclusion of modern graphics & sound, Rogue Trader aims to recreate aspects of the 80s cult classic- to today's standards. 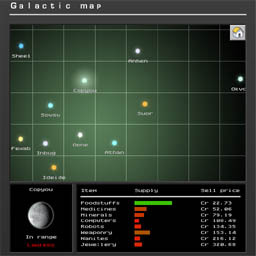 Almost infinite universe for the player to explore. Trading & dynamic economies that react to transactions. 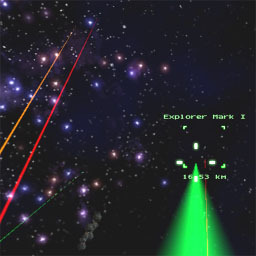 3D textured mapped graphics with real-time lighting. A variety of ship upgrades and fittings. Challenging AI bandits and enemies. 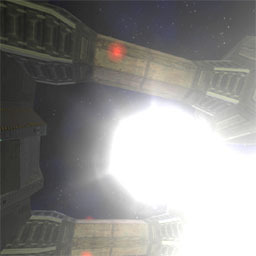 Advanced effects such as lens flare and hyperspace jumps.